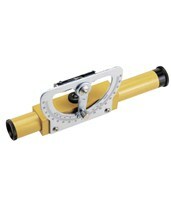 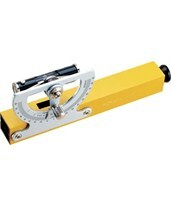 An Abney Level is an instrument used in surveying which consists of a fixed sighting tube, a movable spirit level that is connected to a pointing arm, and a protractor scale. 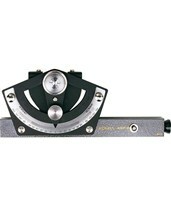 It is used to measure the angle of inclination of a line from the observer to another point. 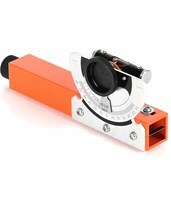 Dimensions: 5 1/8" x 2 1/4" x 3/4"
Enamel finished 7-3/4" barrel extends to 8 5/8"